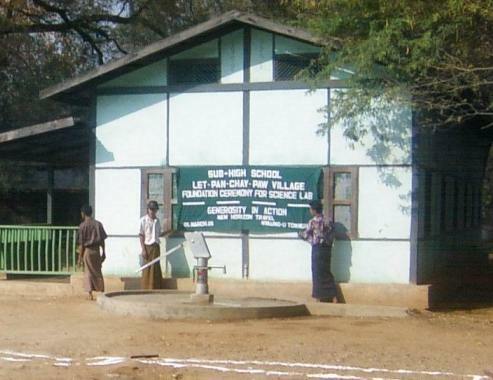 On March 5, 2005 a building to house a science labratory was dedicated and construction started at the High School in the Let-Pan-Chay-Paw village near Bagan. 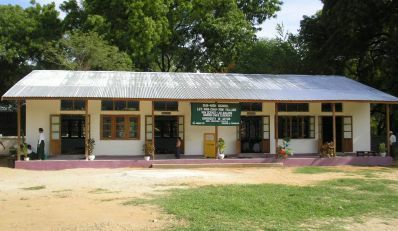 Funds for this project were donated by travelers to Burma in the fall of 2004. The schedule for completion was August 2005. We are proud to report that the building was completed during the summer. The lower picture is of the final building - sent to us in August 2005.